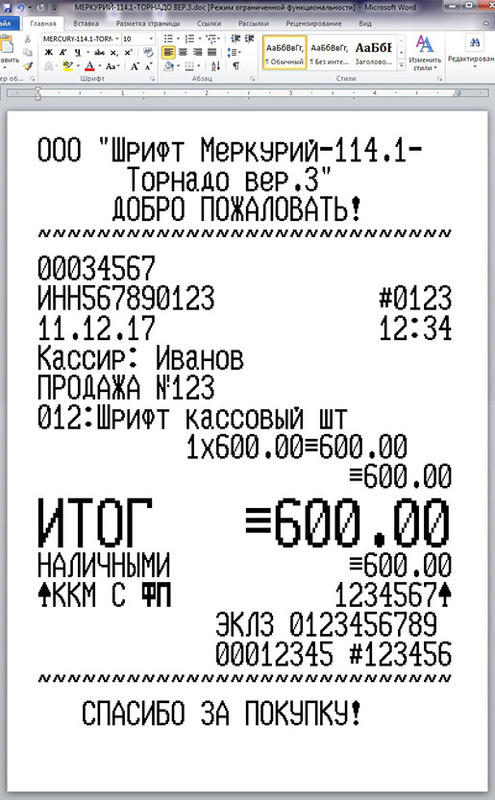 Font cash register MERCURY - 114.1 - TORNADO (version 16x20 matrix) in TTF format (Russian and English letters) for use in Microsoft Word. The archive is the font in TTF format and check pattern. You just have to install a font in the system (usually C: \ WINDOWS \ Fonts), open the template and start editing. 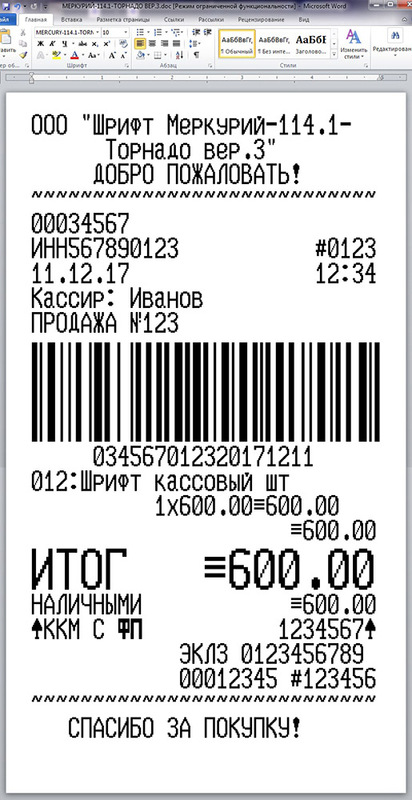 Print checks, preferably in the thermal printer, a cash Thermoband. Although you can print on inkjets and laser, with the ability to display the fax paper. Best quality, of course, when printing on thermal transfer. 4000 World of Warcraft GOLD (EU - Warsong - Alliance) best price and quality. Instant delivery.